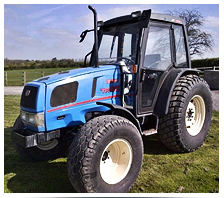 Small Tractors is a family run firm based in Leicestershire. With over 20 years of experience in the industry we pride ourselves in matching the customer with the tractor or machine that is right for the job they require it to do. Having large stocks available we can sell to trade or retail buyers. 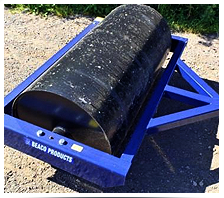 We have a large range of new and second hand equipment including toppers, posthole borers, mowers, harrows and rotavators in stock. We also supply new and secondhand parts for uk and imported compact tractors. Nationwide delivery available using our own lorry and/or trailers. Full instruction given on all our machines where required. 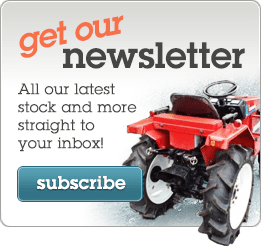 At smalltractors we have a full welding and fabrication facility on site enabling us to adapt or manufacture equipment to fit your existing tractor. We have now successfully added SAGE PAY to our payment system, this now allows our customers to pay by credit/debit card over the telephone or alternatively we can send you an invoice with a ‘pay now’ button allowing you to pay your invoice direct by credit/debit card. 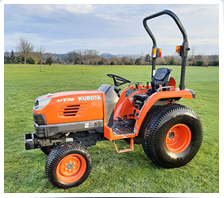 We saw a huge increase in the sale of parts last year, this allowing us expand our parts section considerably, we are therefore always on the lookout for compact tractors for breaking, please contact us if you have one lurking unused in your shed! If you have something you want to advertise with us or an item you would like to sell through pour website, please do not hesitate to contact me through our contact page.